Susan Burton and Cari Lynn’s Becoming Ms. Burton: From Prison to Recovery to Leading the Fight for Incarcerated Women (The New Press) is a groundbreaker. Burton’s harrowing path from impoverished childhood through sexually traumatized youth into troubled adulthood is all too symptomatic of myriad Black women virtually predestined to self-medicate with drugs, and consequently, lead a lifestyle that lands them in prison. As she starkly details, society, too, has symptoms — principally an insidious predilection to make it hard for Black people who are down to ever get a leg up, especially those facing legal problems and without the money to mitigate or make them go away. But Burton, a recovering addict and former convict, turned the strength of prevailing against personal adversity into a resource for others to do the same. The deck undeniably is stacked. As if those facts of life aren’t difficult enough to deal with, much less overcome, Burton unflinchingly observes that the penal process is about anything but rehabilitation. It’s not intended to turn lives around but, in fact, obstructs all hope of these women getting back on their feet, starting with court-provided legal representation. “Public pretenders, that’s what we called them,” says Burton. “No more useful in court than your own shadow standing next to you. It seemed they were there solely to legitimize people throwing away their rights — to facilitate a fast track to guilt, to keep the conveyor belt to prison moving swiftly along.” After which whole populaces are simply warehoused. Incarcerated people are given menial jobs that pay cents per hour and are vastly overcharged for purchases necessary for everyday living. With families and loved ones charged $15 for a collect, 10-minute phone call, that link to the outside world is a grave hardship to anyone raking and scraping to make ends meet. The inmate is denied that morale-sustaining connection. Basically, you just mark time until it’s time to go. Then you’re released with next to no money, having had to pay for your civilian clothes and a Greyhound bus ticket. Worse, if you had a checkbook, driver’s license or security card, I.D. of any sort when you went in, the state destroyed them before you got out. There is no explanation as to what earthly good comes from depriving people of these vital documents. On top of everything, there’s a 50-50 chance you are now homeless. When Burton left prison, even resources like food stamps and housing assistance weren’t accessible to her as an ex-con. The most daunting prospect is being right back where you started — broke in a bad neighborhood and in need of some kind of livelihood, legal or otherwise. Upon her sixth and last release, a prison guard actually said they’d save a spot for her next return, but that never happened. Changing direction, she left people, places and things of her old East L.A. haunts behind to seek chemical dependency recovery at the CLARE Foundation in Santa Monica. Aware there were no such facilities where she lived, Burton did something about it and began helping others help themselves out of dead-end lives, empowering them to break the self-destructive cycle of drug addiction fostering criminal careers. She worked as a personal care assistant, scrimped, saved and enlisting formerly incarcerated friends, along with someone willing to help float a mortgage, and put together a small halfway house for a capacity of 10 recently released offenders. Over time, it became A New Way of Life, transitional houses in Los Angeles, where she still works with ex-convicts embarking on re-entry. With a foreword by Michelle Alexander, author of The New Jim Crow: Mass Incarceration in the Age of Colorblindness, Burton and Lynn bring fluid, forceful immediacy to Burton’s memoir, the narrative’s compelling grit perfectly suited to the subject, documenting an alternative to counting on a rigged system to help recover one’s life. 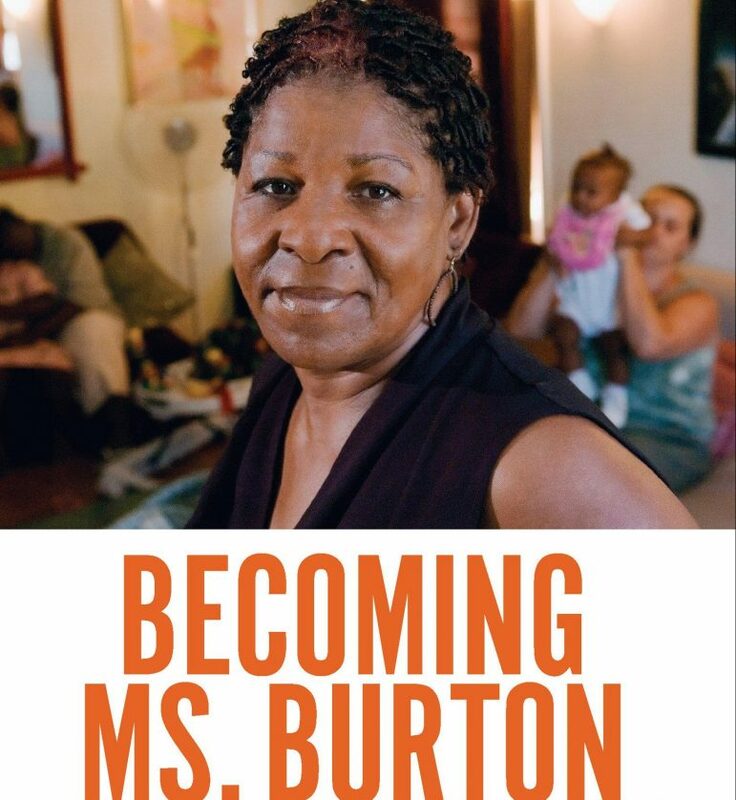 If you know someone who is currently incarcerated, a copy of the book Becoming Ms. Burton is being offered to people in prison free of charge at http://bit.ly/SusanBurtonBook. For more book info, go to http://becomingmsburton.com. For info about A New Way of Life, visit http://anewwayoflife.org.